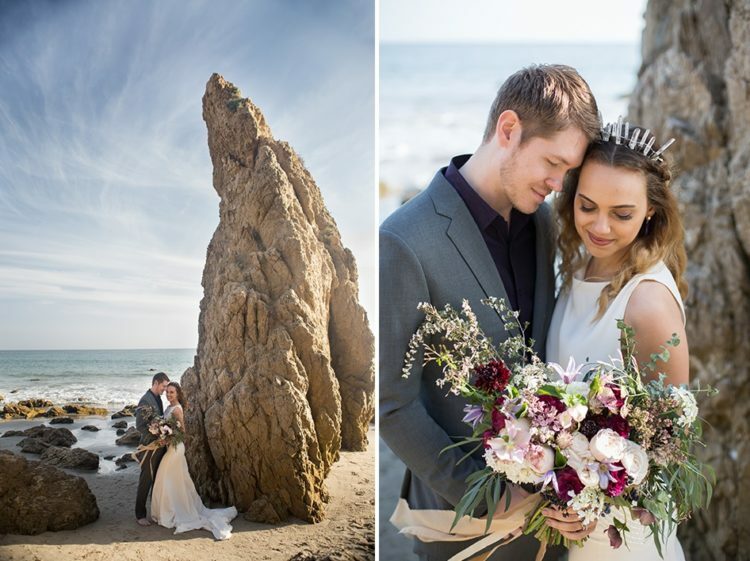 Fall is the perfect time to share this beautiful Malibu boho beach wedding inspiration, we are all missing beaches and breeze. 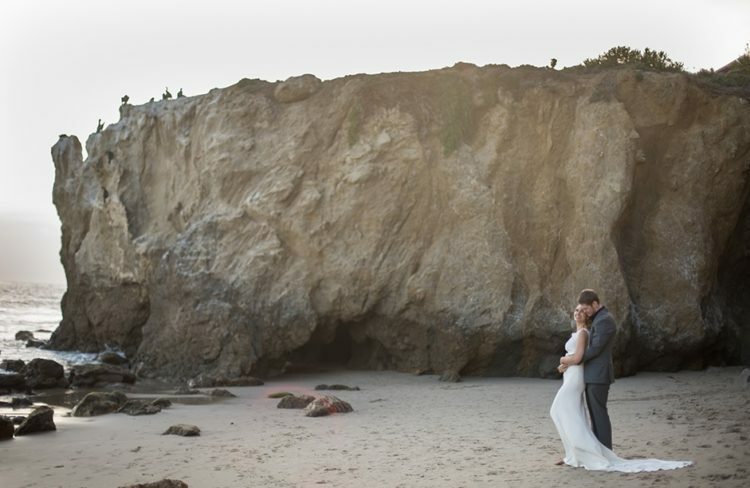 If you are getting married on a beach just as beautiful as El Matador State beach in Malibu, you don’t really need fancy centerpieces or crystal chandeliers. A gorgeous gown, a killer bouquet and some beautiful invitations…that’s all you need, really! 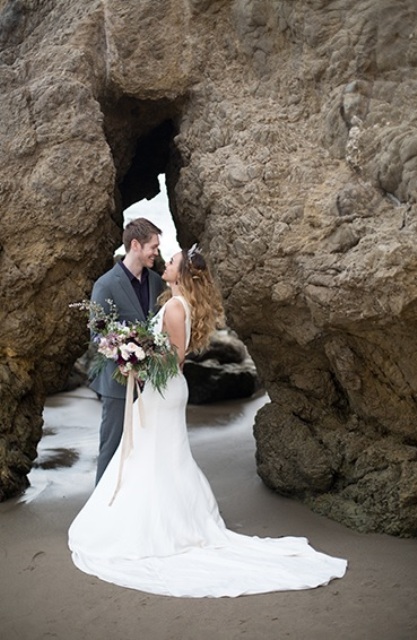 The wedding shoot had a laid-back vibe, and the neutral color palette mixed with soft purples and pinks fit beautifully with the surroundings. Have a look at little details: a cute crystal headband, pretty jewels, all the way to the florals and watercolor wedding invitations. 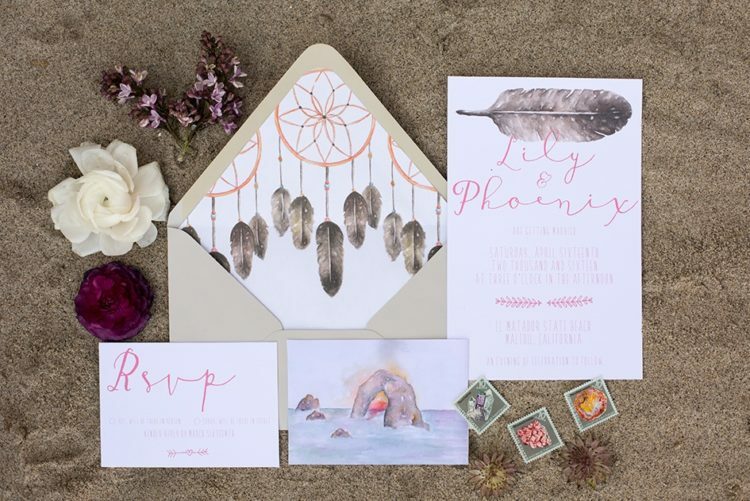 The boho beach wedding invitations with very relaxed bohemian vibes with feather details and fit perfectly this laid-back affair. 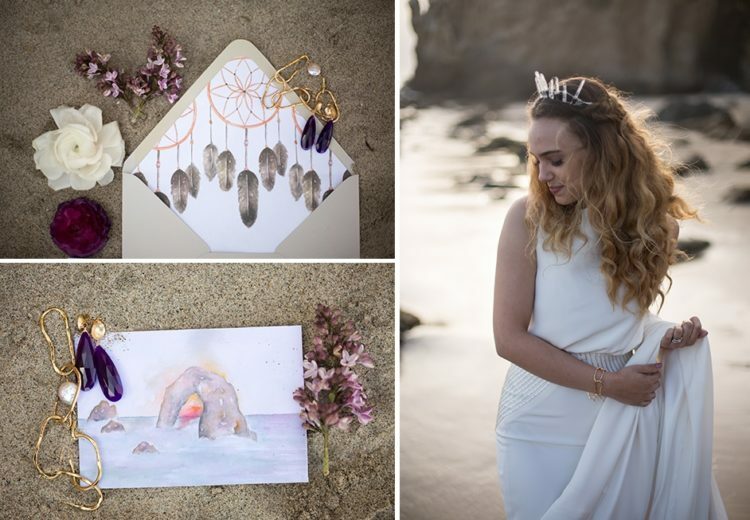 The watercolor stationery was painted for this shoot and was inspired by the scenery. The bride was wearing a trendy modern bridal separate made of a long skirt with detailing on the waist with a train and a top. 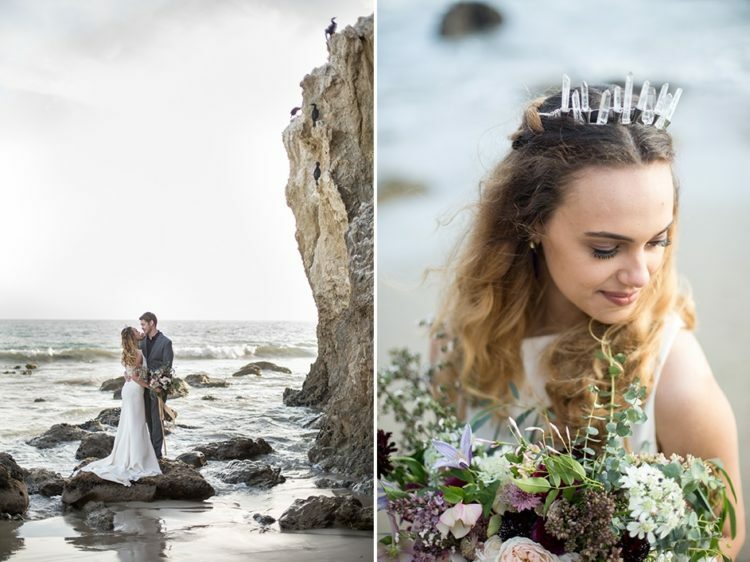 Her look was made up with jewelry and that gorgeous crystal crown, the bold bouquet added a boho flavor to her look. 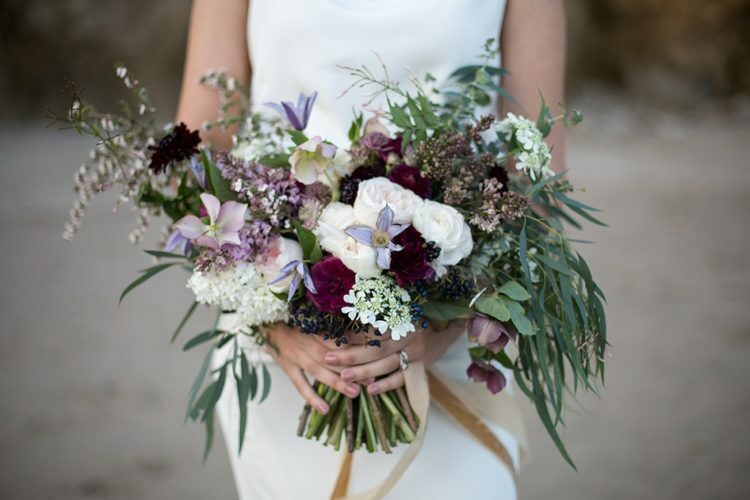 The bouquet is various shades of purple added tenderness to the bridal look. I also love her ombre hair, which is all about boho chic. The groom rocked a grey suit with a black shirt, and he was barefoot. This is a nice source of inspiration for those who are planning a laid-back coastal wedding with boho chic feel. Show up the beauty of the coast and exchange your vows in a relaxed ambience, beautiful scenery and next to your closest people. Choose a beautiful beach and go ahead!